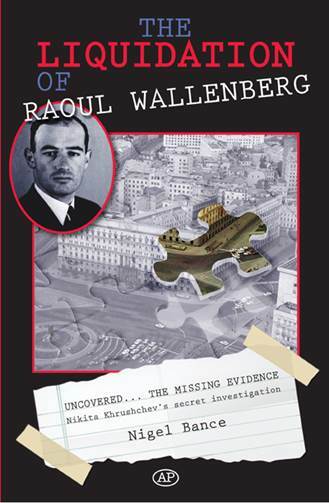 NIGEL BANCE was the first researcher, in 2002, to have access to the never-before-seen Soviet intelligence archive of Serov, courtesy of his family, and given Ivan Serov’s memoir into his top-secret investigation as to why Wallenberg was liquidated in 1947. Using his Moscow sources, the author meticulously examined Serov’s three-month investigation that began in December 1953 upon the order from the embittered Nikita Khrushchev, the Soviet premier. Khrushchev ordered the papers be destroyed…but some survived, held by Serov. 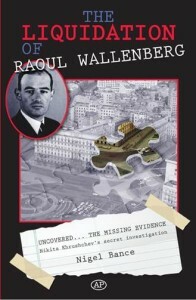 Read how the Swedish government could have had its man returned but refused to barter for Wallenberg’s release, the Soviet evidence that Wallenberg was an American spy, Serov’s account of US and Wallenberg-family collaboration with the Nazis, and why Wallenberg had lost his usefulness as a political pawn at the ending of the Nuremberg Trials. There are 48 pages of photographs, including the actual site in Moscow where the ashes of Raoul Wallenberg are buried.